No matter how prepped you are as a camper or how heavily-packed your vehicle may be, one of two things are bound to happen on every camping trip: you’re either going to run out of ice or firewood. 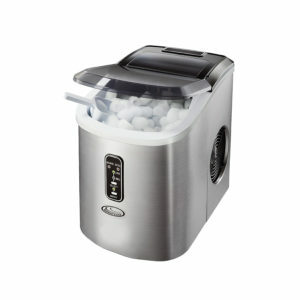 It’s no surprise then that a portable Ice Maker is the one product we’ve received the most requests for. Unlike some other ice makers, the new National Luna Portable Ice Maker is tested to operate at 43ºC ambient temperature, as opposed to 24ºC. Although we were keen to fill this part of the market, we had some concerns about launching an Ice Maker in South Africa, and the most important one was… heat. Perhaps the biggest problem facing the manufacturers of many ice makers and camping fridges that are designed and developed in Europe and China, is that many aren’t designed to cope with our summer temperatures. We wanted the biggest compressor possible (to make ice as fast as possible). We wanted the unit to be able to operate in a +40ºC ambient temperature. We wanted the unit to be compact and lightweight. We wanted a durable stainless-steel finish. A durable stainless steel finish in a compact, lightweight design. Fortunately, we were able to meet all of these requirements, opting for a 12kg (per day) ice maker that would be just as useful at home as it is in a campsite. 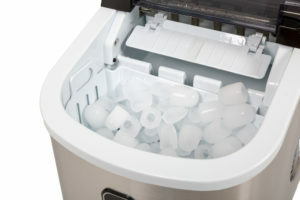 The National Luna Portable Ice Maker can produce ice in as little as 6 to 13 minutes and features two ice-block size options. 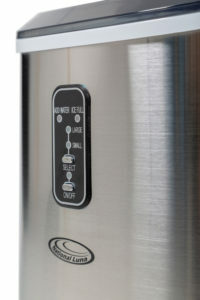 FAQ: Is the National Luna Ice Maker available in a 12V option ? Although we explored the idea of developing an ice maker that can operate on 12Vdc as well as 220Vac power sources, the reality is that such a unit would cost five to eight times more. Which would also put it in the same price range as a full-blown camping fridge. In addition, without adequate insulation (which would greatly add to the units size), a 12Vdc ice maker would draw impractical levels of energy from your vehicles’ battery. In general, most well-equipped campsites offer 220Vac power, but for those of you who would still like to run the NL12 Ice Maker on battery power, you’d need at least a 1000W pure sine-wave inverter. The Ice Maker retails for R1 999 and is available at leading outdoor and 4×4 stores. Click here to find a dealer near you.